NOTE: Adjusted fuel economy numbers reflect real-world performance and are not comparable to regulatory compliance targets. *EPA didn't include Hyundai and Kia in its base tables because of a continuing investigation into fuel economy discrepancies, but their corrected data are reflected in the industrywide average. The biggest fuel economy increases over the 2012 model year came from car SUVs and truck SUVs. WASHINGTON -- Don't read too much into the slowdown in fuel economy gains, regulators say. The pace should quicken again with the spread of more potent gas-saving technologies. The industrywide average hit a record 24.1 mpg in the 2013 model year, up 0.5 mpg but rising less than the 1.2 mpg increase the previous year, according to the EPA's annual Fuel Economy Trends report issued last week. The agency forecasts just a 0.1 mpg gain for 2014 models, based on preliminary data. 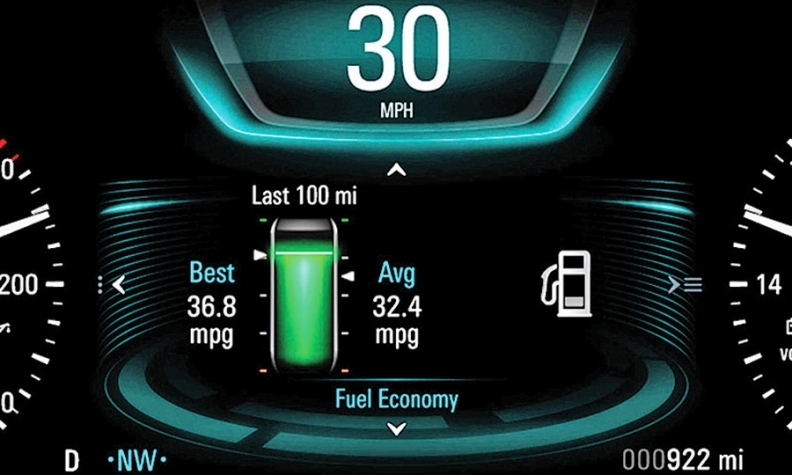 The report's figures are intended to show real-world mileage and are adjusted down from those used for compliance with federal Corporate Average Fuel Economy standards. The EPA reports rapid adoption of fuel-saving technologies — such as variable valve timing, turbocharging, gasoline direct injection and continuous variable transmissions — and projects further gains. The table shows the share of industry production equipped with each feature. EPA data on production share show a shift toward cars and “car SUVs,” which the agency defines as 2wd SUVs that weigh 4,000 lbs. or less. The slower gains, along with rising sales of light trucks, have stoked concerns that the industry may struggle to meet higher CAFE standards due in 2025. But regulators say automakers are on pace. "I have seen their compliance plans, so we have high confidence here at EPA that CAFE and greenhouse gas targets will be met, and they will be met by a variety of means," said Chris Grundler, director of the EPA's Office of Transportation and Air Quality. Grundler also said averages for the 2014 model year are likely to exceed the agency's early forecast. That's because the EPA's 2014 model data included very few vehicles from Hyundai and Kia, omitting many high-mpg models.